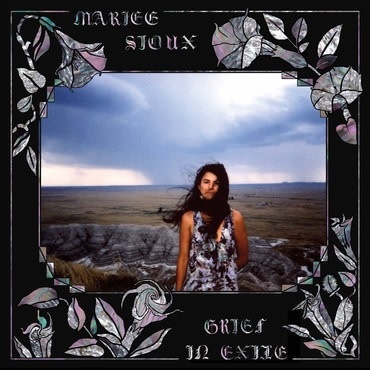 Poetic mysticism and ancestral remembrance have always been deeply embedded in Mariee Sioux’s music. There is a transcendent quality in her unique expression that sometimes feels otherworldly. Her ethereal singing aches with haunting sensitivity and the way she poetically weaves dreamlike imagery and the shared human experience together often moves listeners to tears. Over the past decade many people have written to tell her of profound healing experiences the music has supported them through; from births, to loved ones last breaths, moments of peace during drug withdrawls and reconnection to the self during trying times or heart break. There seems to be medicinal quality to her music that is undeniable and sought after in an often destructive and disconnected age. Her third album Grief in Exile feels like a culmination of these profound experiences and strike the listener as much more refined, less stream of consciousness and abstract. This new collection of songs shares stories of deeply intimate and relatable feelings on heartbreak, loss, indigenous prophecy, and the need to welcome grief back into our lives for the health of society. For fans of Alela Diane, Marissa Nadler and Jana Hunter.